Alright, so a bit of bad news, my old laptop (also an HP decided it wanted to start mucking up on me. Network adapters going all haywire, you know how it goes. The USB wireless adapter I got for it should do me in the mean time but I decided to go out and get a new laptop today. I was looking in my usual spot online (Micro Center) to see if they had any reasonably priced laptop replacements. I found one for about 480 bucks after tax, and I had them hold one for me to come pick up in the store. When I got there, picked it up (paid the 480 and change I was expecting) I got home and unboxed a new Sleekbook Envy 6 instead, which has better hardware definitely but it also had Windows 8 which is a big no-go for me. So I took the time to figure out how to get this bad boy working on Windows 7 and have everything put together in sequential order in download links section. Note: This guide is for going through a clean install of Windows only. I can not guarantee the same results will apply otherwise. Firstly — You will need to boot up your device and hit either F10 or ESC to get in to the BIOS before you get the HP logo at the black screen. Once you’re in, move over to the third tab labeled “Security” or similar and enable legacy boot. Once you have done this, save and exit the BIOS shutting down your computer. Secondly you are going to need Windows 7 install media and a USB stick with at least 8GB of available storage because as you may have noticed this model of Envy has no optical drive. There’s a great guide on setting up the USB drive for installing Windows 7 that can be found here: Into Windows. Once you have completed setting up your USB drive with the Windows 7 install files and installing windows as per normal (using the USB 2.0 port on the right hand side, hint hint) you are ready to get your Envy rolling on Windows 7. UPDATE: It appears newer versions of the drivers aren’t compatible with the 7600G, I have reverted the link to point to an older, compatible version of the drivers that should work. Let me know if there are any issues, thanks! Download all these ahead of time and load them on to a USB stick so we can make this a quick, easy setup. Once you have download them, plug the USB stick in to the USB 2.0 port on the right hand side and follow the steps below. The first thing you will undoubtedly notice is that your mouse pad is completely useless at this point and you have absolutely no access to your USB 3.0 ports on the left side of your Envy. This presents a problem as I was stuck using my keyboard to navigate around and install things. Note: If you are not familiar with mouseless navigation tab will move you between sections, arrow keys will move you between items, and return executes. With your USB key plugged in (it should be drive letter D) hit the Windows key and type (or navigate to) D:Drivers1 – SYNAPTICS_TOUCHPAD.zip1 – SYNAPTICS_TOUCHPADSYNAPTICS_TOUCHPAD.exe (or replace D with whatever it mounted your thumb drive as). You should then be prompted to either extract or run the zip file. tab over to run, and hit enter. This will bring up the setup Window for the Synaptics Touch Pad driver. You will then be presented with a screen saying “Welcome” and the “Next” button should be hi-lighted already hit return now to proceed. Next you will be presented with the license agreement, just tab through that until both the agree radio button is selected and the next button is hi-lighted in blue. It should then proceed to install the drivers. Give it a minute or so and voila you are now free to move about the cabin or… computer. Now, isn’t that better? It should make navigating around your Envy much easier now. Next we move on to the network driver of our choice. I personally did this using ethernet but if you are a distance away from your router and you don’t feel like wiring your whole house with RJ-45 you might want to use wireless. I included the download links to both above. A) Right so if you chose to go with the ethernet adapter you have downloaded that first. I suggest doing this because Windows update will take care of the wireless one later on if you want it to, or you can just install it using the drivers I provided. To get our Envy online we’ll need to unzip the archive named “2a – REALTEK_GIGABIT_ETHERNET” and run the enclosed setup executable. After a few minutes of waiting, maybe skimming over the license agreement if the author’s are lucky — We now have internet access. Hooray, internets! B) If you chose to go with the wireless adapter installation first, I don’t blame you for this either. I don’t have an RJ-45 cable that reaches out to the back porch either. Now, going forward — You’ll want to extract the zip archive named “2b – QUALCOMM_QCA9565_WIRELESS” and in it I have included a handy batch file to run a non-silent install of the drivers so you can actually see it’s progress. Once you have this installed both your bluetooth and your WiFi will now be active and you can read this blog posting from your new laptop. It took me a little bit to find chipset drivers that actually worked for this but it turns out the 6-1110us is running on the AMD A70M chipset and I have included all the necessary files to install the USB 3.0 drivers and all sorts of goodies in the zip archive. Extract that off your USB key and run the enclosed setup executable. You may be asked to restart your computer after this (and several other points during the setup process) but it is necessary as Windows will only cooperate with you if you feed it enough tasty restarts. Once you have rebooted (if it asked you to) you should now have access to your left-side Super-Speed USB 3.0 ports. If you’ve stuck with my guide thus far I’ll have to make out an I.O.U. to you in the amount of exactly 1 internet and no more than that. This particular model of Envy 6 has an AMD Radeon HD 7600G for which you will not find working drivers in any of the obvious places. I did however dig up some beta drivers over at Guru 3D. Kudos to them on their work getting this up to date. I checked the compatible devices and the 7600G was among them so after several failed attempts at getting Aero working on other manufacturer drivers I thought I’d give it a go and thankfully it worked, it fixed my Aero problem and to top it off I tested it by playing through Hard Rain in Left 4 Dead 2 and it ran nice and smooth. Before we install the graphics drivers though, we will need to install the latest .NET framework for the Catalyst Control Centre to function properly. You can either retrieve the latest .NET framework from Windows update or from the Microsoft CDN. Next verse same as the first (but with a mouse) just unzip the archive named “4 – AMD_Catalyst_x.x_Betax” and run setup.exe within the contained folder. After all this is said and done, restart your computer, set your proper aspect ratio. Switch to an aero theme and BAM. You should now be running happily on Windows 7. You should now be running on Windows 7 as if it was meant to come with it. if you have any problems during the installation drop by my Facebook page: http://www.facebook.com/TheInternetNomad and I’ll do my best to respond when I am able! If you want to say thanks, buy me a cup of coffee or an energy drink by clicking the donate button on the right-hand side of the page. I am currently studying in university and this is something I do in my spare time. UPDATE: 17-November-2012 Occasionally on restart or shutdown/start up the USB controller (which handles the USB 3.0 ports on the left side of the computer) will stop functioning. This can usually be resolved opening device manager, disabling the AMD USB 3.0 Host Controller, unplugging any devices from these ports and re-enabling it. After that, plug your devices back in and continue using your system as per normal. …and how! I have had these V-MODA M-80s in the pearl white colouration for about a month now and they sound absolutely fantastic. I really have to hand it to V-MODA on their dedication to maintain the same great sound quality across all their products. I personally own one other pair of V-MODA headphones, the Crossfade LPs which are the over-ear headphones with a bass-heavier focus. These M-80s however have a more balanced sound range and are great for listening to music on your mobile while on the go. These light-weight, high-quality headphones not only sound great, but they are built great too. The V-MODA M-80s are built with the same durable material as their other headphones: Kevlar re-inforced cabling, light-weight steel build, and a flexible headband so your headphones move with you. So let’s picture this: Headphones built to last, styled around you, and they are built with memory foam and noise insulating materials for the most comfortable audio experience available. If you want a more personalised experience to make these headphones truly you — You can opt for V-MODA’s complimentary laser engraving service where you can have your logo, name, etc engraved on the metal shields. Overall I’d have to say if you don’t want to sacrifice a high quality mobile audio experience for a lower-quality one you’d get with earbuds, the light-weight M-80s are the way to go. If you like more bass-heavy music consider getting a pair of the Crossfade LPs for more information on those or on the company check out my post here. 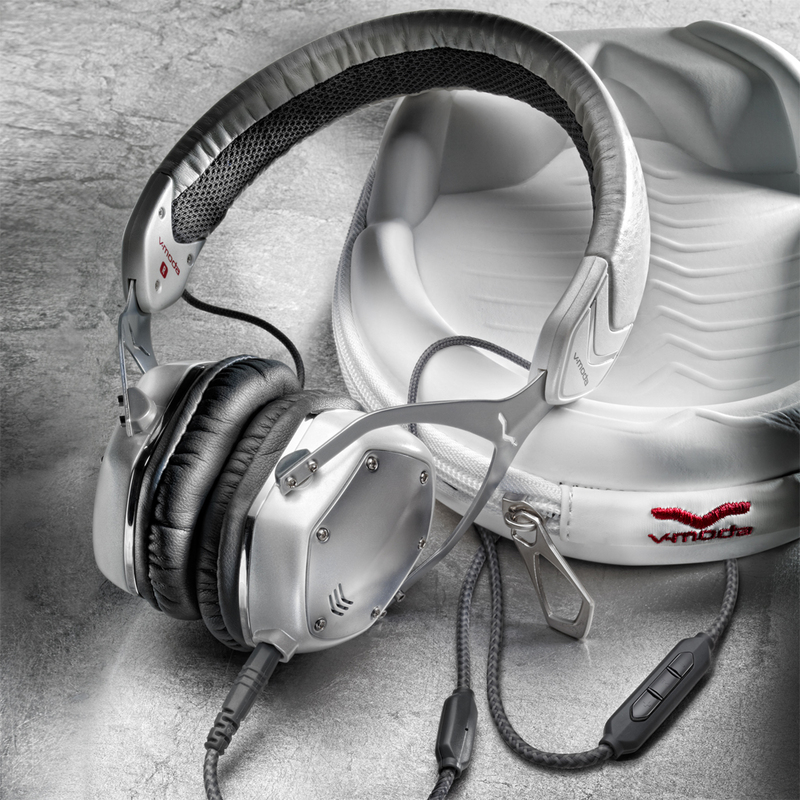 For more information on the V-MODA M-80s or to pick up a pair for yourself check them out on the V-MODA website. Alright, another blog post with a good break between the last — I do apologise, my life has been in a rather hectic phase but that should be coming to a close. I’ve found myself half way across the world, back in the US of A. I was out in Phoenix for a couple of weeks and now I find myself in a quaint little house in north LA. Firstly, I’d like to start by defining what an Accelerated Processing Unit (APU) really is, however I will only be talking about a certain type, the AMD Fusion which has thus far been the most market successful. I often like to compare it to a human brain in the way it performs, one part of it handling central processing, and left brain functionality such as logic. The other handling graphics processing, like the right brain. In the past you would have a separate video card and CPU but with the introduction of the APU you get both in one. Now you might think at first that having two in one detracts from the power of one or the other but you get a good amount of power for the price you pay for it. For example, the laptop I recently purchased. An HP Pavillion g6 series cost me ~$415 USD and it is capable of running games like Battlefield 3 and Fallout: New Vegas at medium to medium-high graphics. Which was a big shocker for me given the price tag. Now, the A6 series APU my computer is currently running is the A6-3420M, upper-mid range of the APU processors from AMD. The APU’s integrated graphics processor is an AMD Radeon HD 6520G with 2GB of on-board video memory. Some time this year the A10 is set to launch which will provide a big power boost to the current series of AMD Fusion processors as it is meant to be running on Radeon’s new 7000 series graphics processing capabilities. In addition to the added graphics processing capabilities it is rumoured that the new A10 will be receiving a 20-30% boost in overall general processing capabilities. Keeping all that in mind and you are operating on a budget but need to build a new computer on short-notice you can Crossfire video cards of the same GPU series as the APU to get extended graphics performance at a very affordable price. Welcome to another chapter of the Internet Nomad tech blog, I apologise for not having updated in some time. I have been quite busy with a contract job I’ve taken here in Melbourne and the posting frequency will slow some. That having been said I’m happy to present you with another. Recently there have been a lot of acronyms flying around that have brought privacy concerns to people’s attention: SOPA, PIPA, and ACTA being the three most prevalent ones. People often forget about the two most common ones though when speaking on the terms of privacy: EULA and ToS. Just what are EULA and ToS? EULA stands for End-User License Agreement while ToS stands for Terms of Service. You might be thinking, “Ok, I’ve seen these before, what about them? They just make sure I’m not doing anything illegal with their software right?” — Sometimes it’s as simple as that sure, other times however it can be a slew of complex legal jargon which if not looked over carefully, may prove to be a bigger privacy concern than posting your information online. “2. Consent to Collection and Use of Data. This doesn’t apply just to software, but also websites. Social networks like Facebook, Google Plus, Twitter, and more all have clauses which allow them to gather user information — In fact recently there have been privacy concerns about numerous Facebook applications where they have been gathering and transmitting information about their users and selling them to marketing and advertisement companies. An article recently posted on the Wall Street Journal highlights the details of this privacy breech. All that having been said — I myself am guilty of skipping over reading all the legal jargon from time to time if I’ve used the software previously, or if it’s something I’ve heard things about from other people and I need to keep an eye out. My objective here is NOT to make you paranoid of what software you use, or what websites you take part in. My goal is simply to make users aware of the real privacy concerns that are present everywhere, and hope that people begin to read before they click “I agree”. You never know what you might be getting yourself in to. As the old saying goes “Knowledge is power.” You have the power to agree, or disagree with the terms, and there are usually alternatives out there for most things so “Look before you leap” in to something that might be considered an invasion of your privacy. I hope this has shed a little light on the recent privacy concerns that have been cropping up on people’s computers and online. Until next time, this has been another posting by the Internet Nomad. So, a while back I decided to invest in a headphone company, that before this I’d never even heard of. They are an American audio manufacturer with a line of clothing to match the unique style of the headphones they produce. That company, is V-MODA which is run by Val Kolton, a Hollywood man, DJ, and entrepreneur with an audio empire building itself around quality, and looks. Both of which, are important when you see so many people running around with headphones that look like they are wearing cut-down plastic cups over their ears. I am of course talking about Monster Beats by Dr. Dre. Which not only look tacky, but they give people a false expectation of what good sound quality should be, which is especially bad with the price tag that they carry. Let’s get back on topic though, why do I love these headphones? Aside from the style, they are one of the most comfortable pairs of headphones I have ever had the pleasure of owning, with BLISS memory foam noise-isolating fittings, they can sit comfortably on your ears for hours while you work on that project, or do your homework, or while you are playing that game. It feels like they aren’t even there. If they weren’t there though, it would be a real shame, because you’d be missing out on the immersive sound quality that they provide. In each ear, you’ll find V-MODA’s unique, patent-pending dual-diaphragm high-fidelity drivers, providing you crisp, clear sound, even at high volumes. Sound Signature: “Live Play” surround sound with vibrant bass you can feel alongside vivid mids and vivacious highs. Cabling: Two, detachable, kevlar reinforced cables included. Remote: Apple, universal audio compatible, 3-button remote. The Crossfade LPs, I must mention, if you didn’t gather from the above specs — Are built towards songs with heavier lows (bass) than some of their other lines of headphones. However they capture all frequencies quite well and make everything a pleasure to listen to: My friend Jordan on Skype, that movie I want to watch, that song that I wish I had the headphones to hear them as they were meant to be (and now I do!). These headphones make you feel like you are right there, at that concert, or on the set of that film, or sitting next to one of your friends. V-MODA also has a few goodies you can get for these headphones, which is custom engraving with their Crossfade LP customs, which is great if you want to show off, or if you want to get your brand name around. They will happily engrave it for you. Also — Every pair of Crossfade LPs comes with a stylish case making it easy for you to pack up, and get moving — No mess, no hassle. As a bonus, you can get the metal shields in quite a few colours, so you can get them to match your own unique style. In recent days though, they have released the Crossfade LP2s which are based off the same great Crossfade LP product, but with a fine-tuned sound using what they learned from the originals, so they will be hard to beat. The Crossfade LPs price is set at a quaint 200 USD. Or, if you want the next generation LP2s, the price is the same as it was for the first generation. In my opinion, you are honestly getting a steal, these have the quality of headphones you’d be paying two, or three times more for easily. You can find all of V-MODA’s long line of products here: http://V-MODA.com Keep your eyes out though, rumour has it that Val, and the V-MODA crew are hard at work on making a new pair of headphones, re-mastered using completely new technology. This has been another blog posting from The Internet Nomad. The short answer is — Aside from performance and stability improvements, you won’t notice a thing. The ReFS file system will maintain the crucial backwards compatiblity with the NTFS file system and your applications should remain in working order if you choose to make the switch. ReFS will be released on Windows 8 however it’s initial launch will only support the next release of Windows Server in the 8 series, and while Microsoft has not confirmed or denied the possibility of it being added as a feature to the popular Windows 7 operating system, it is not out of the question. So let’s break down each of these points. Microsoft is aiming to maintain a high level of compatibility with the current file structure — So most applications will be able to run on the new file system. Which is a win for everyone. They will however, be removing some features which are outdated, or not as widely used. That being the case, I wouldn’t worry about whether your applications will run or not. Now the next bit, is something that I personally am glad to see. Microsoft will be introducing some features similar to the HFS file system used in OS X to automate and correct drive corruption to optimise drive performance. What this means for you: Less worrying, less problems, less defragging and waiting for your computer to free up hard drive usage, and best of all, less disk checking. The ReFS file system aims for a smoother, better performing operating environment from it’s predecessor. Isolation of corrupted data is another big selling point for ReFS — This means that if there is bad data on your hard drive it will most likely not interfere with the repair process. This means you will be able to identify, and repair the issue while the drive is still active and your session is still live. This means less downtime in critical situations, and in day to day use. Lastly — ReFS is designed to work together with the Storage Spaces feature which will be introduced in Windows 8. Storage Spaces, in short combines all of your physical drives, SAS, RAID, internal, external, NAS, etc, and combines them in to one consistent virtual drive you can use for direct and organised storage. If you are looking forward to Windows 8, the beta will be available in mid, to late February.